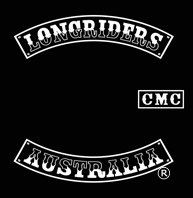 LONGRIDERS CMC AUSTRALIA was established in two states at the same time, Vic (Melbourne) & SA (Adelaide) in of 1989. Later in 1998 a third chapter was established in the Hunter Valley in NSW. Numbers were small in those days with five members and two nominees in SA and seven members and two noms in Victoria being the originals. Those original members were committed to doing the miles with many trips between the two states on shovelheads, iron motor sporties, Nortons, BSA’s and Triumphs. Some of those runs turned into two day marathons with breakdowns and swaggin’ it on the side of the road happening far too often. Establishing a new club which had some credibility and a level of acceptance in the bike scene required a ton of commitment, guts and determination. Similar qualities as required for long distance riding on old machinery and small budgets. As the number of members slowly grew there were some who found it wasn’t for them or others who simply moved on with different commitments taking priority in their lives. That is the nature of clubs. Longriders is proud to have retained a core group of original members who remain active and now have the honor of life membership. The original aims and values of the club have remained and stood the test of time. These include fair dinkum Christianity that requires action not just talk, brotherhood, family and community. Family is important to Longriders and although the commitment required for membership is high, family takes priority. Members are encouraged to place the needs of their families first, as members with strong, positive families, are usually strong and and positive themselves. Longriders has been instrumental in and supportive of many men and women finding Christian faith which has often meant freedom from drug and alcohol addiction, restored relationships and families and improved quality of life. The club has a ‘doing the miles with ya’ sort of approach to supporting others on their spiritual journeys while respecting individuality. The NSW chapter which was ‘patched up’ in 1998 started out with only five members and two noms. They had been riding together for a number of years as a front patch club known as the ‘Christian Riders’. They have since become well established in the Hunter Valley. On June 2002 the Adelaide chapter grew into two, with the second chapter based at Murray Bridge. The club had been operating two club houses for some time as approximately half the membership was located either at Murray Bridge or in the Adelaide Hills. This mob, known as the Murray Bridge chapter has developed over many years a very positive relationship with the local Aboriginal Community, this relationship also extends to Adelaide and some of the outcomes included successful runs with Indigenous brothers who ride to some of the Aboriginal communities throughout the state. These runs help to break down barriers, contribute to the reconciliation process, and benefit underprivileged kids & youth. This is achieved by providing rides for kids, music & dance entertainment, bar-b-q’s and event T shirts etc. as a fund raiser with profits going back into the communities. As well as all this they are damn good fun. Over the years Longriders have caused some controversy within certain segments of the Christian community with questions about their methodology. Most churches and Christians however have been very supportive. The club sees itself as having a connection and ‘calling’ to those considered the outcasts of society (see mark 2:16 – 17) and therefore are appreciative of support and not bothered by criticism. Many of the members have come from a ‘hard arse’ background, other clubs or generally the ‘wrong side of the tracks’. Because of their own experiences they identify strongly with others in the scene. Successfull one day shows (all chapters). Easter family camps and awesome national runs. More importantly being a part of seeing lives changed in substantial and sometimes dramatic ways makes it all worthwhile. Humour has always been a good thing in the life of the club and members are thick skinned enough to laugh at themselves and not get too uptight about their religion while maintaining a staunchness about their principles and beliefs. In the bigger scheme of things the club is still young and looking forward to continued growth in memberships, chapters and individuals lives.